Tow Truck Dublin we offer a range of car & vehicle towing with emergency roadside services for the entire Dublin area. We can usually be wherever you need us in under 30 minutes and dispatched in 10 minutes, 24 hours a day 7 days a week. We offer towing & roadside assistance of vehicles in Dublin. In the case of accident our towing service is second to none and our delivery promise provides peace of mind for our customers. Our equipment used for towing consists primarily of light-and-medium-duty tow and flatbed trucks. 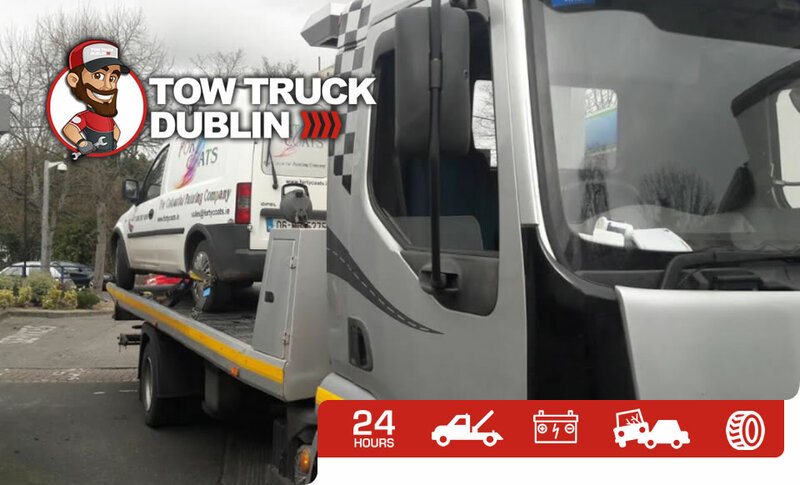 To contact a reliable and competitively-priced Tow Truck Dublin company, give us a shout and one of our trusted Towing experts will contact you directly within a couple of minutes.